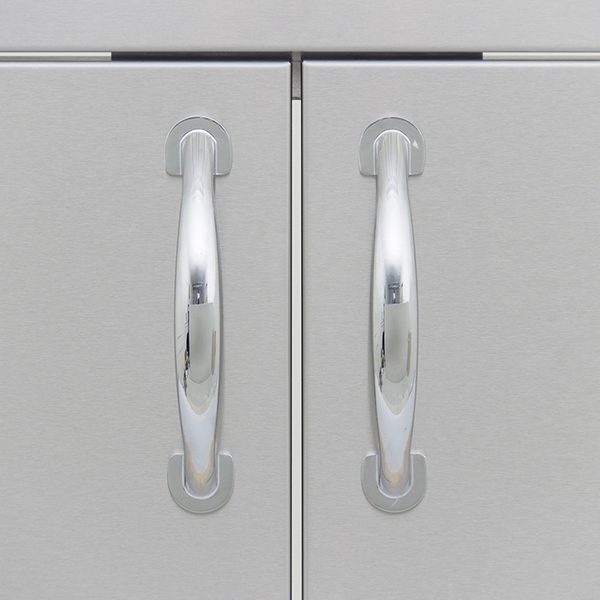 Opening dimensions: 28 1/2" by 16 3/4"
Do you ever wish you had additional storage space as part of your outdoor kitchen and grill set up? 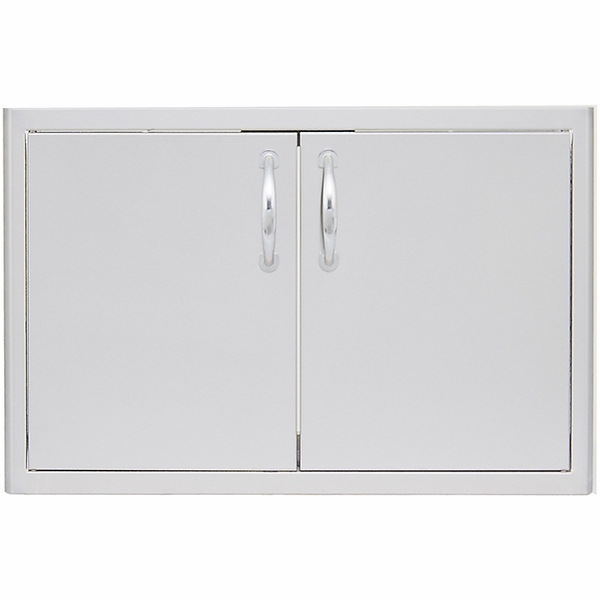 This 32 inch double access door from Blaze offers just that. Its opening measures 28 1/2" by 16 3/4," giving you enough space to maneuver even large appliances and cooking accessories, along with ample storage space inside. The frame is uniquely crafted, employing beveling as well as a rounded design to maximize stability, and the door's stainless steel construction is attractive both functionally, in terms of improved durability outdoors, and aesthetically. For added convenience, a paper towel holder is also included.